Andersen wood double hung replacement windows offer incredible strength in the frames and sash, great interiors and renowned thermal performance. Each wood style is expertly crafted to resist the elements and the windows require low maintenance when cleaning. The double hung sash tilt is also easy to clean from inside your home. Andersen offers a maintenance-free vinyl exterior with pine interior that can be stained or painted. 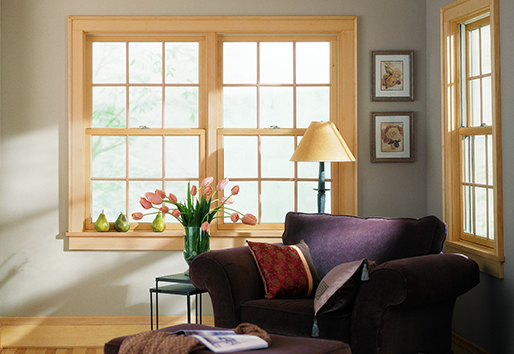 To view our selection of Andersen wood double hung windows, visit the Hometowne Windows & Doors showroom today.